A new study discovered that people who have direction-finding problems could experience the early onset of Alzheimer’s disease. Researchers keep finding different symptoms of preclinical Alzheimer’s, each of whom reveals variations in the brain that could indicate its development. These changes can be detected by analyzing the biomarkers found in the brain and spinal fluids. These particular biomarkers contribute to the buildup of brain plaques in the hippocampus and the caudate. The two parts of the brain play specific roles in the development of route familiarization and cognitive maps. A team of scientists from the Washington University investigated this potential association by looking at the brains of participants with and without these biomarkers. They also tested the subjects’ maze navigation abilities to determine who were predisposed to develop Alzheimer’s disease at some point in their lives. For the study, 42 clinically healthy individuals were enrolled with no spinal fluid biomarkers, as well as 13 clinically healthy individuals who tested positive for the biomarkers. 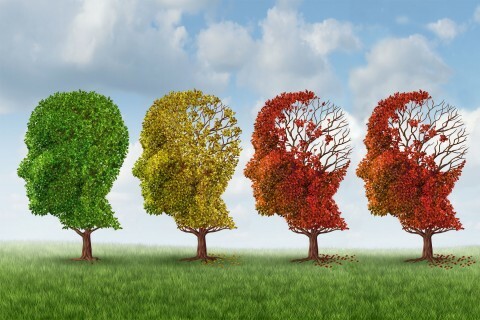 Researchers also analyzed 16 individuals who had behavioral symptoms of the early stages of Alzheimer’s. Two navigational abilities were the focus of the study. One tested the participants’ ability to understand and follow a pre-determined route. The other one concentrated on how well they could create a mental map of the environment. Participants with spinal biomarkers were found to have significant problems in developing a mental map. But at the same time, the same subjects had “little to no impairment” in terms of following the navigation-learning tasks. According to the study’s findings, direction-finding tasks could represent a useful method for detecting the early on cognitive changes related to Alzheimer’s.